Kiyonna’s Summer 2016 plus size collection is all about vibrant pops of color, cold shoulder tops and flirty, lightweight dresses for a dramatic, yet feminine vibe. 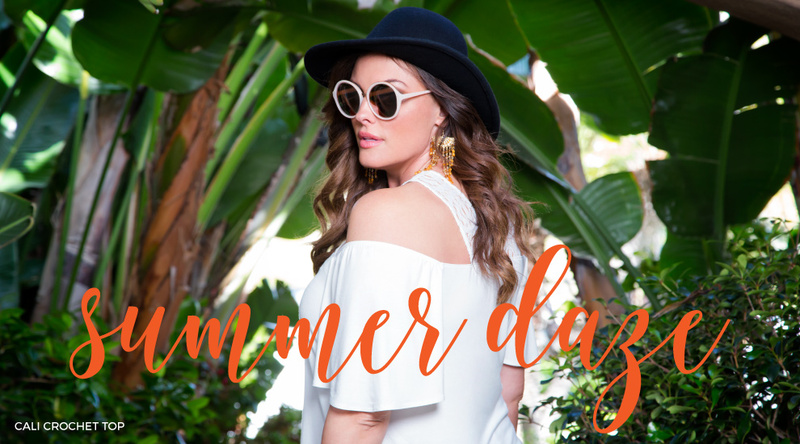 Our summer must-haves include tailored maxi dresses for a bit of boho, off the shoulder necklines to flatter your halter ego and swingy, hi-lo hemlines for a body positive feel. From our Cali Crochet Top to our Rebel Sequin Skirt, our signature separates won’t be found anywhere else. Kiyonna’s attention to detail and made in the USA styles offer the highest quality fashions for the most fabulous, trendy fit. Whether you’re heading out for a daytime date or summertime special occasion, our plus size semi-formal, cocktail dresses will send you off dressed to impress—without any stress! Planning a vacation to Southern California? Be sure to add us to your list! Come shop your favorite plus size styles at The Showroom at Kiyonna. We’re just 20 minutes away from Disneyland!